Gawler Eagles senior team fought out a hard earned 1 - 0 victory over Vipers at Karbeethan Reserve maintaining top spot on the State League 2 ladder. Well done, lads! Christian Taylor scored at the 82nd minute from a free kick that went UNDER the wall. Full marks for creativity! Unfortunately the Reserves lost 0 - 4 while the Under 18s enjoyed the best start to the day with a resounding 5 -2 victory. Don't forget to check out the photos on the club's Facebook page! 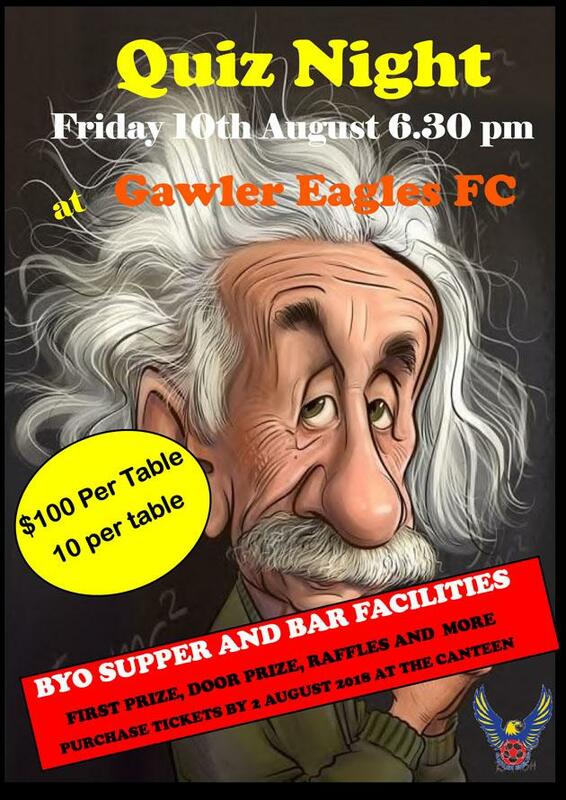 A huge weekend for Gawler Eagles FC. The seniors defeated Adelaide Cobras 2 - 1 to claim top spot on the SL2 ladder. Captain Iradi Baragomwa secured both goals at the 63rd and 68th minute. A red card to Cobra's goalkeeper Piantadosi for a late tackle on Bosco Uwezo at the 59th minute put the Cobras under pressure for the rest of the match. Well done, lads. Unfortunately the reserves went down 2 - 4 while our U18s reversed the ledger and won 4 - 2. 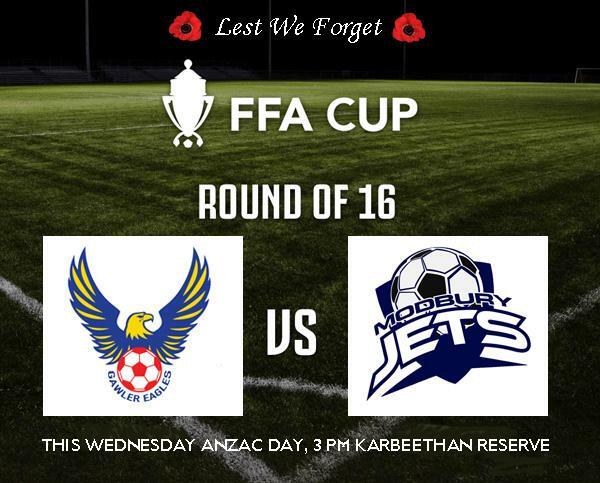 Next week is the FFA Cup round against Sturt Lions. Stay tuned for details. 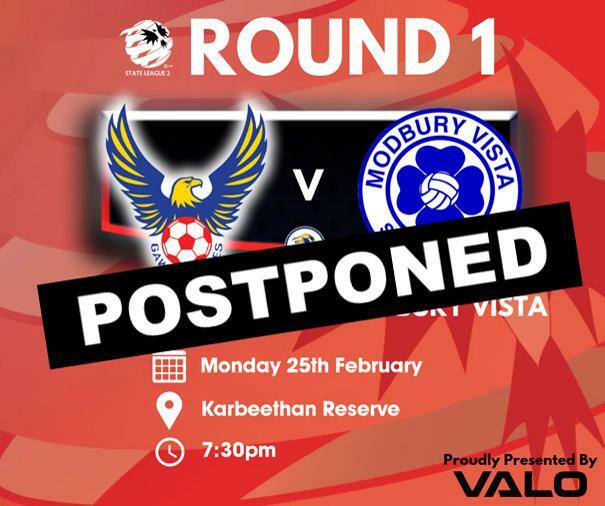 The Round 1 catch up round against Modbury Vista was played at Karbeethan Reserve on Tuesday and Wednesday evenings. The Under 18s drew 1 - 1 and Reserves lost 4 - 3. The Seniors were disappointed with a 2-all draw despite dominating early on and being a man down after Pierre Ndayirata was red carded just before half time. Goalscorers were Iradi Baragomwa and Robbie McMillan . Gawler is one point clear in third place on the SL2 ladder. Next Sunday is a crunch game against top-of-the-ladder Adelaide Cobras at home. This Wednesday night is a catch-up round as Round 1 was postponed thanks to the heatwave earlier this year. Gawler Eagles seniors are sitting on 3rd spot on the ladder with a game in hand. Here's our chance to build further on a good start to the season and edge further up the State league 2 ladder. The Reserves and Under 18s play their catch-up rounds on Tuesday night at Karbeethan Reserve. It's a clean sweep for Gawler Eagles at Karbeethan Reserve against Mount Barker on Sunday. The Under 18s got the ball rolling with a comprehensive 11 - 0 win, followed by the Reserves 8 - 0 and the Seniors with a 4 - 2 victory. Captain Iradi Baragomwa scored another 2 goals bringing his tally to 6 while Thierry Hatungimana found the back of the net at the 72-minute mark. It's our first home game of the 2019 season at Karbeethan Reserve as Gawler Eagles play host to Mount Barker United. The lads are keen to build on a good start to the season (1 win, 1 draw thus far). We would love to see as many people as possible come along and watch a great game of football. See you there!Starting times have been adjusted slightly. Under 18s kick off at 10am, Reserves at 12:15pm and Seniors at 2:30pm. A mixed result for Gawler Eagles in Round 3 away against Adelaide University. The Under 18s drew 2-2, the Reserves won 4 - 1 while the Seniors drew 1 - 1 despite 3 good chances to hit the back of the net, and being down with 10 men for most of the game. Captain Iradi Baragomwa capitalised at the 36-minute mark to secure his fourth goal of the season before Christian Taylor was red carded for a hand ball. The team rallied and after some creative displays wasn't to counter Adelaide Uni's equaliser a few minutes into the second half. Next week Gawler Eagles plays its first home game of the season against Mount Barker United SC. ROUND 2: A great result for Gawler Eagles FC's senior team's first game of the season with an away 6 - 4 win over Cove FC on Sunday afternoon. Assistant Coach Mike Cawood, standing in for the unavailable Charlie Villani, said it was a top team effort with some very good football played against a side favoured to go top this season. Cawood singled out Iradi Baragomwa (3 goals), Thierry Hatugimana (2) and Pierre Ndayirata (1) as awesome with Thomas Gooding dominating in the midfield. Well done, lads. Next game is against Adelaide University at University Ovals. 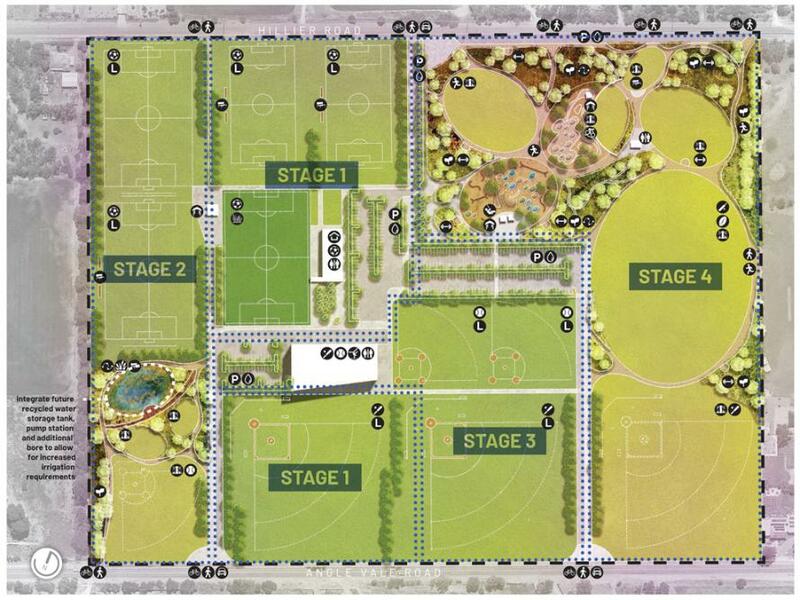 Karbeethan Reserve Master Plan revealed. Gawler Eagles FC is excited by the Town of Gawler's Karbeethan Reserve Master Plan, now released for community consultation. We look forward to a fantastic facility that will be enjoyed by other sport codes and Gawler families for many years to come. Visit the Town Of Gawler's website for more details on the Master Plan. Download the Master Plan brochure here. 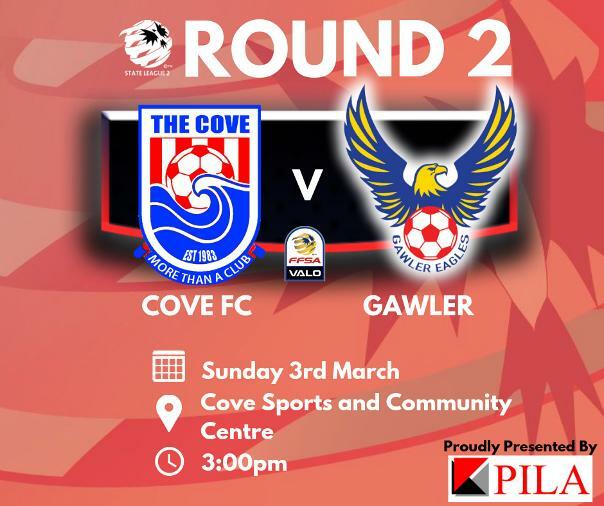 This weekend is Round 2 for Gawler Eagles, this time away at Cove. It's been moved to Sunday as again the hot weather forecast for Saturday has created drama for playing conditions. With Round 1 postponed Gawler Eagles FC is keen to get its 2019 season underway. Go Eagles! Gawler Eagles FC has a number of spots available for boys in its Under 13 and Under 14 teams. If you're child is keen on improving his football skills in the JPL and JSL with some great coaches then now is the time to contact the club. The 2019 season kicks off shortly. Email Gawler Eagles at admin@gawlereagles.com.au now! 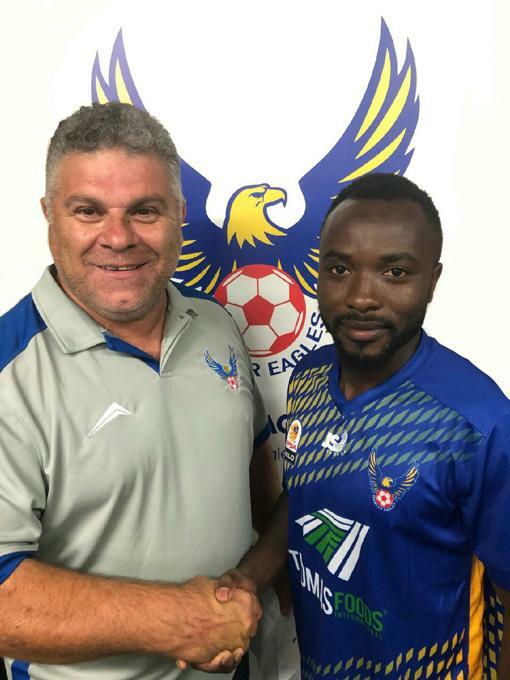 Gawler Eagles FC is proud to announce Iradi Baragomwa as Captain and Phil Cawood as Vice Captain for the A-grade team in season 2019. Iradi was the leading goal scorer for Gawler Eagles last season hitting the back of the net 18 times in 21 games including 3 hat-tricks. The striker is well respected by his club and team mates and is a perfect fit to lead the Eagles this year. Phillip Cawood is a hard working defender who has impressed during the pre-season after 4 senior games last year. A good club-man, Phil is also Gawler Eagles' U17s girls coach this season. Seniors coach Charlie Villani congratulates Iradi Baragomwa. A big thank you to the Town of Gawler for its support via its Community Grants program to Gawler Eagles FC. 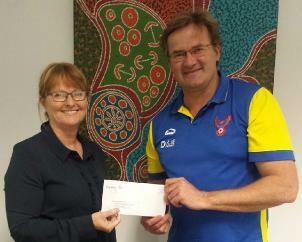 Town Of Gawler Mayor and Gawler Eagles FC Patron Karen Redman presents Gawler Eagles FC secretary Peter Broelman with a cheque for $750. 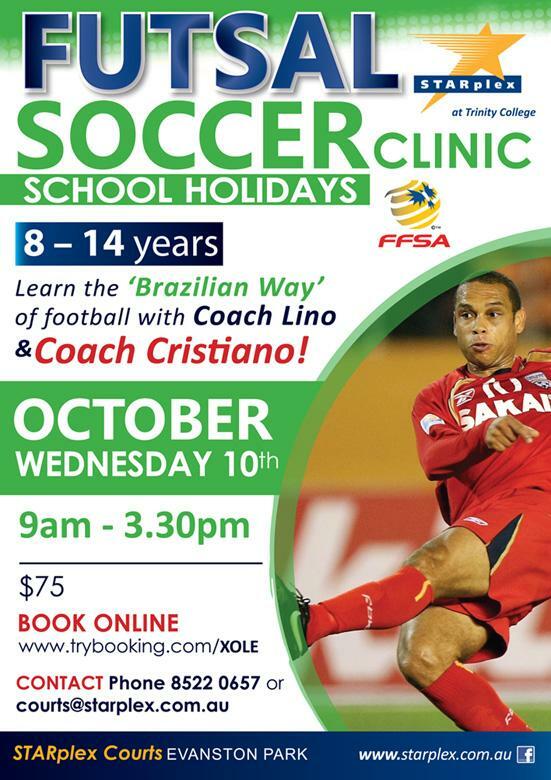 The money will be directed to playing equipment for our Mini Roos and Junior Premier League players. Thank you, Gawler! Gawler Eagles FC Annual General Meeting (AGM) was held on Friday 30 November at 7pm at Café Nova (19 Murray Street, Gawler). 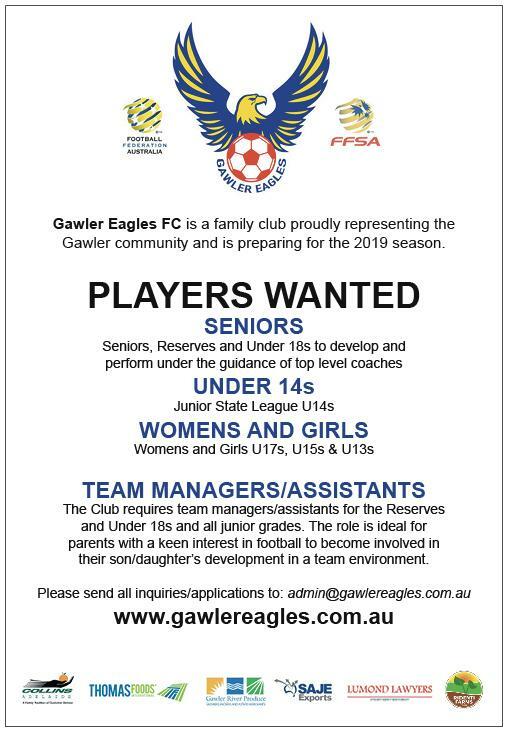 Gawler Eagles FC is excited that many parents and players are enquiring about playing soccer at Gawler Eagles. While most of our trials have concluded the Club is keen to hear from players of all age groups who want to play. Email the Club. Training – 6.30pm start from Thursday 8th January onwards. All senior, reserves and under 18 players are invited to come along. New faces are also more than welcome. Contact Senior Head Coach Charlie Villani here. While most of our junior trials have been completed we would still love to hear from parents and young players of all ages: U12 to U16 boys. Email the club for details. Gawler Eagles would also love to hear from girls who are keen on playing soccer. U13s, U15s, U17s and Senior Women. Email the club for details. 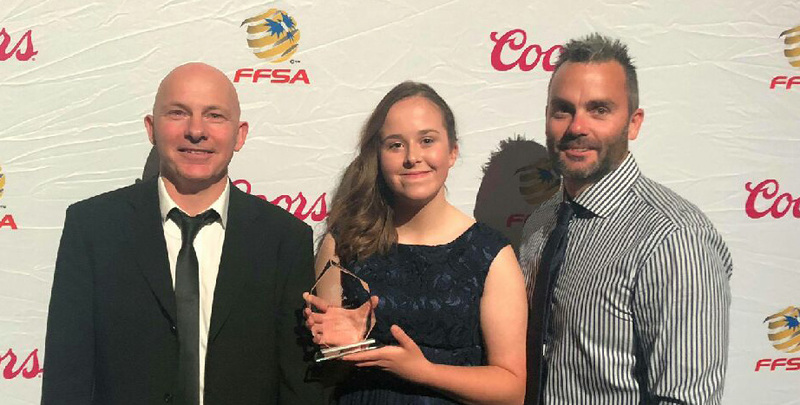 Congratulations to Gawler Eagles' Laura Pizey who was announced Women's Division Four Player Of The Year at the annual FFSA 2018 Awards Night on Saturday night at the Adelaide Convention Centre. Laura's achievement is a first for Gawler Eagles at senior women's level. 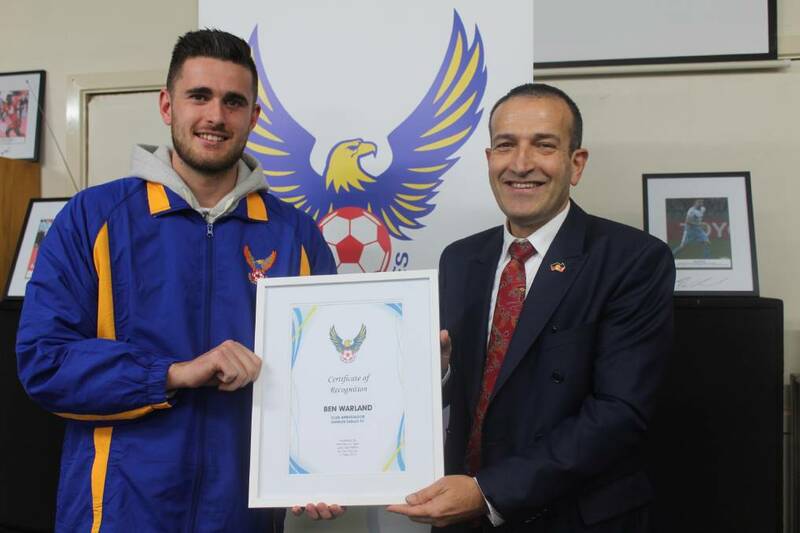 The event brought together representatives of South Australia’s vast football community to recognise the achievements of clubs and individuals from FFSA’s Affiliated Associations, Men’s and Women’s National Premier and State Leagues, Community Leagues and honour high achieving match officials. Congratulations, Laura, we are all very proud of you. Very proud dad Lee Pizey (left) with Laura and Gawler Eagles' 2018 Senior Women's coach Peter Bermoser. The Gawler Eagles FC held its senior club awards Saturday evening at Cafe Nova. Congratulations to all players throughout the season and those players who were recognised on the night. A big thank you for all those who attended, officials,players and parents alike, and to those who organised a great night. Well done! It's the last hurrah for the Gawler Eagles' mens teams for 2018 and the lads plan to go out in style against Adelaide Uni at Karbeethan Reserve on Saturday. Under 18s kick off at 11am, reserves at 1pm and seniors at 3pm. Come along and watch a great clash. The Gawler Eagles womens team play at home against Hahndorf (round 15) at 10am Sunday morning. Three more rounds to go. Can they secure top spot on the ladder?Go Eagles! The Gawler Eagles hit the road again this time to the Adelaide hills to play the Hawks at Woodside. After a 2-1 loss last weekend to Victory the lads are keen to make amends. It's a night game for the Seniors with a kick off at 7pm. Reserves at 5pm and Under 18s at 3pm. Meanwhile Gawler Eagles womens team has a bye so the girls will enjoy a week off. Go Eagles! After a 3-0 victory over Mount Barker last weekend, Gawler Eagles hit the road again to take on Victory at Rushworth Reserve (Blair Athol - just a couple of streets behind the Coopers Alehouse at Gepps Cross). Come along and support Gawler in enemy territory. Under 18s kick off at 11am, Reserves at 1pm and Seniors at 3pm. Meanwhile Gawler Eagles' undefeatedwomens team travel to West Adelaide on Sunday. Kick off at 11am. Go Eagles! It's a water-bag trip to Mount Barker this Saturday for the Gawler Eagles as they take on Mount Barker United on their home ground. 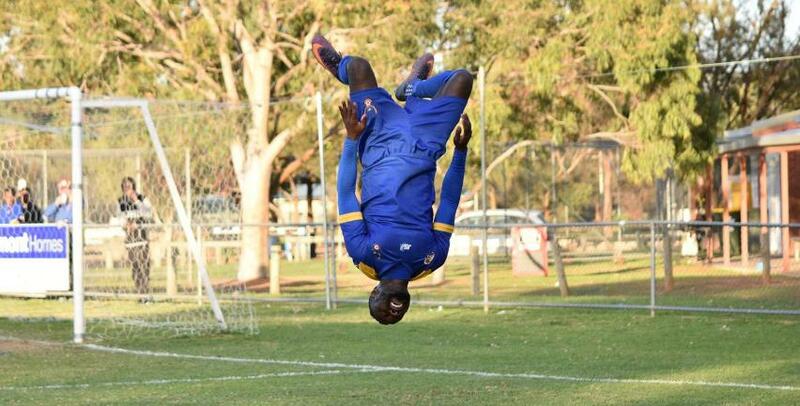 The lads are keen to avenge last weekend's 1-0 loss to Playford Patriots. Seniors kick off at 3pm, Reserves at 1pm and Under 18s at 11am. Meanwhile our top-of-the-ladder Womens team visit Andrews Farm on Sunday. Kick off is at 10.30am at Kalara Reserve at Davoren Park. Go Eagles! Remember to check out Gawler Eagles on Facebook here. A huge weekend of football coming up: Gawler Eagles plays host to the Playford Patriots in the local derby. The Eagles are keen to make amends after their loss to the Northern Demons in Port Pirie last weekend. This game is set to be a cracker. The seniors kick off at 3pm, Reserves at 1pm and the Under 18s at 11am at Karbeethan Reserve. Our Women's team travels to Andrews Farm this Sunday. They're still undefeated and on top of the ladder and they're keen to keep that record intact. Go Eagles! It's also Sponsors Day at Gawler Eagles so welcome our sponsors as they visit our club and say g'day and thank them for their generous support in 2018. After a 4-3 win over UniSA (that's three wins on the trot) last weekend the Seniors take on the Cobras at Weigall Reserve on Saturday at 3pm. Reserves at 1pm and Under 18s at 11am. On Sunday the Women's team take on Metro United at Lindblom Park from 10am.Go Eagles! The Gawler Eagles U12s are still alive in the Junior Premier League Federation Cup. This Sunday (June 17th) they play for a spot in the quarter finals and they need all the support they can get. It's a pretty big deal for these great kids so come along and watch them do Gawler proud this Sunday at Karbeethan Reserve. Kick off is at midday. GO EAGLES! 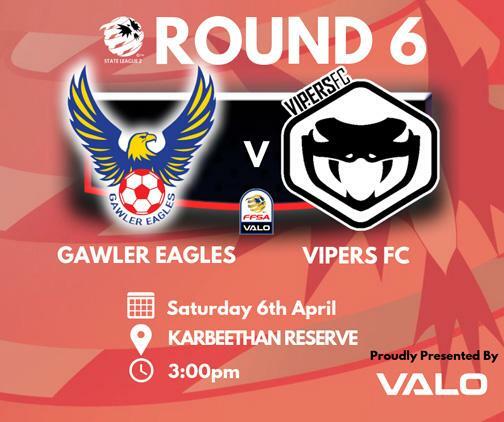 The June long weekend is a catch-up round for Gawler Eagles FC as the Seniors play host to top-of-the-ladder Vipers FC at Karbeethan Reserve on Sunday at 3pm. The Under 18s at 11am and Reserves at 1pm. Come along and support the lads in this pivotal clash. The Senior team drew 1-1 with Northern Demons last Thursday night. Despite the drizzly conditions the lads showed good signs for the business part of the season and are keen to take on their next challenge on Sunday. See you there! Gawler Eagles Seniors play at home at Karbeethan Reserve on Saturday against Eastern Park. Come along and support the boys. Kick off is at 3pm. Reserves 1pm. Under 18s 11am. Full canteen facilities available. Meanwhile our undefeated Womens team travels on the road on Sunday to Mount Baker United. Kick off at 10am. Our Under 15s girls play 8pm Friday night at Modbury Vista. Good luck everyone. Go Eagles! After a 9-1 trouncing of Modbury Vista last weekend (well done, lads) the Senior team trains tonight at Karbeethan Reserve. The Women's team is also training hard to carry on their undefeated form. 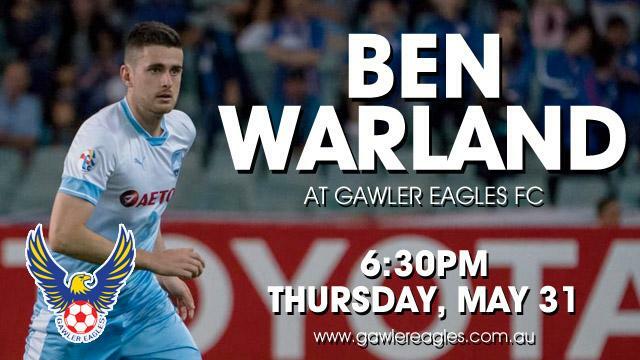 Don't forget, Sydney FC defender and Gawler Eagles junior BEN WARLAND is also visiting us from 6.30. Bring the kids and grab a photo! All welcome! Tonight's Gawler Eagles restaurant special is JOE'S BAKED POTATOES. They're worth a shot. 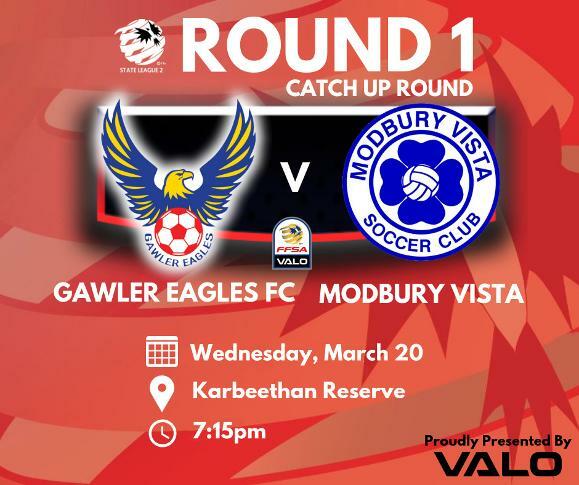 Gawler Eagles FC takes to the road this Saturday with the Seniors (3pm), Reserves (1pm) and U18 teams (11am) traveling to Modbury Vista. After last week's loss the lads will be keen to make amends. On Sunday the Women's team travel to Glenunga to play Old Ignations from 11am. The U15 girls play at home against Cumberland United and are keen for a tight contest. 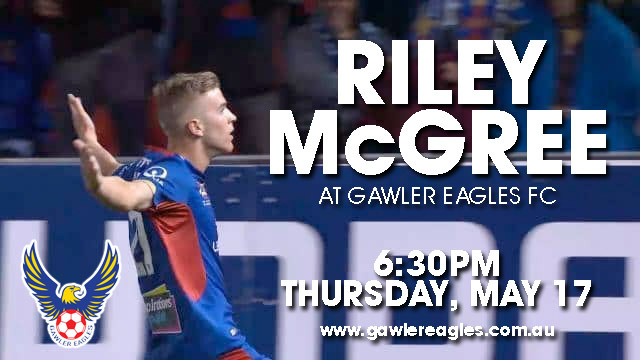 Gawler Eagles FC is proud to announce Riley McGree as its inaugural Club Ambassador. 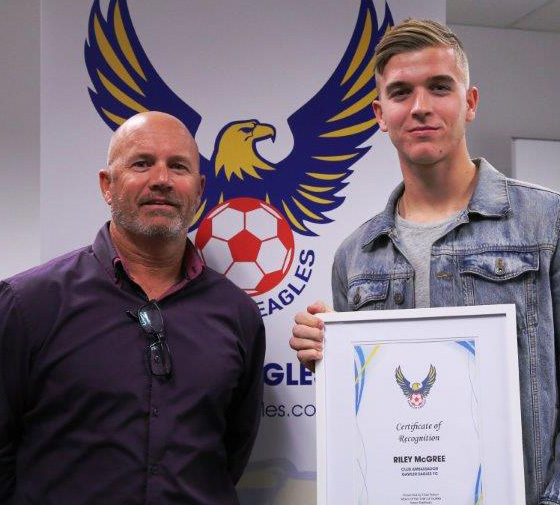 Riley started his football careeer at Gawler Eagles FC at the tender age of 4 and progressed through our junior ranks for an impressive 10 years before joining FFSA's National Training Centre. McGree made his debut for Adelaide United in the A-League on 19 March 2016. Mcgree scored his first goal in the Asian Champions League in a 3-1 win over Jeju United on 11 April 2017. After impressing at Adelaide United, including being called up for the Australian national team, McGree left the A-League in July 2017 to join Belgian club Club Brugge. On 19 December 2017, Rileyjoined the Newcastle Jets on a short term loan deal for the remainder of the 2017–18 A-League season. 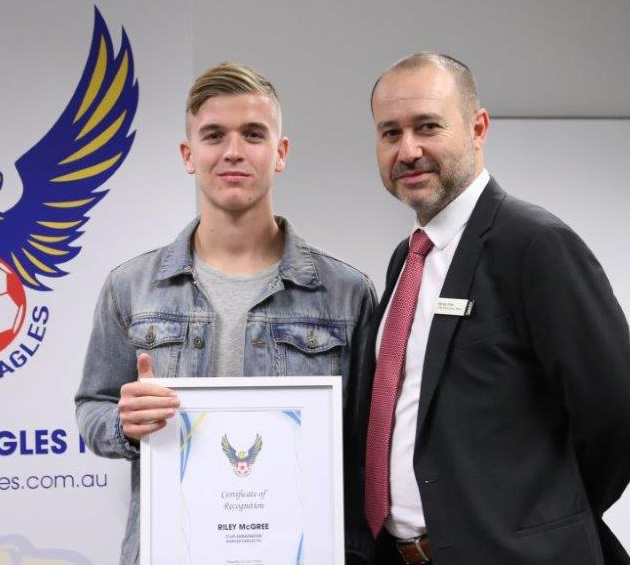 In this season's A-League semi-finals, McGree became the subject of international attention after scoring with a scorpion kick (prompting calls for the FIFA Puskas Award for the most beautiful goal in the world that year), earning the Jets a spot in the A-League grand final. 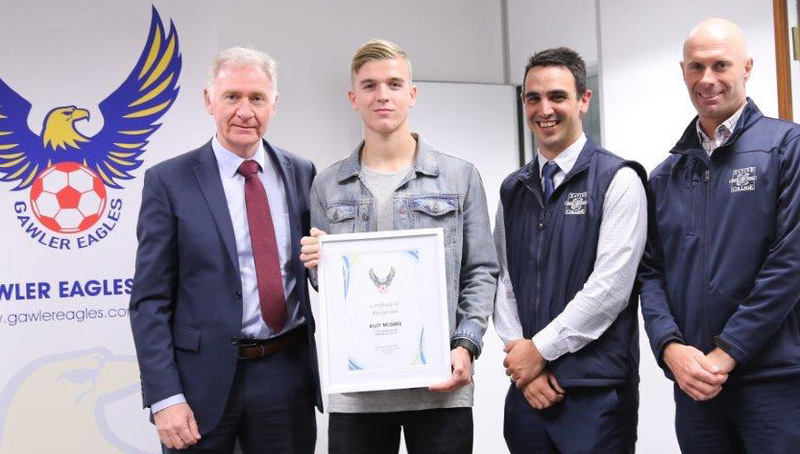 Riley McGree was a special guest of honour at a civic reception at the Town Of Gawler where he was presented with a special "Club Ambassador" certificate from Gawler Mayor and Gawler Eagles FC patron MsKaren Redman. Photo 1: Riley with Acting Principal for Xavier College Mr Mark Flaherty, and Mr Rob Polito, Assistant Principal Pastoral Care and Mr Adam Lewis , House Director Pastoral Care.. Photo 2: Riley with Gawler Eagles committee members Basil Mondello, Peter Broelman, Tracey Shepherd, Acting President Ivan Garrard and Peter Bermoser. Photo 3: Riley with Town Of Gawler CEO Henry Inat. Photo 4: Riley with his father David. Photo 5: Riley with Town Of Gawler Mayor Ms Karen Redman. 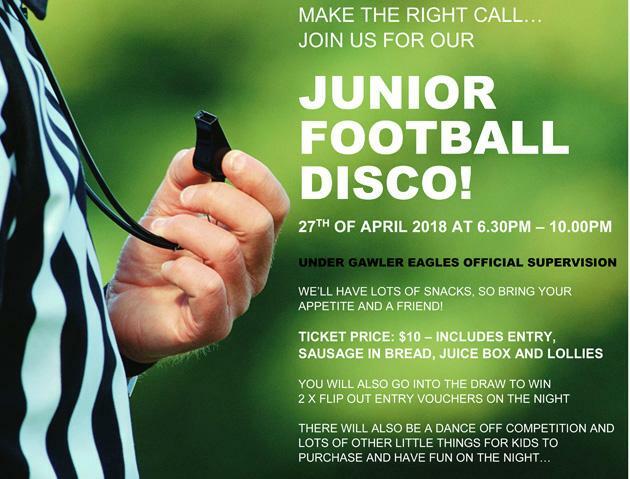 We are excited to announce that Starplex has thrown its support behind Gawler Eagles FC and all the players who represent the Gawler community. Teaming up with Starplex is a positive move for the club and we look forward to promoting fitness, wellness and performance across Gawler. 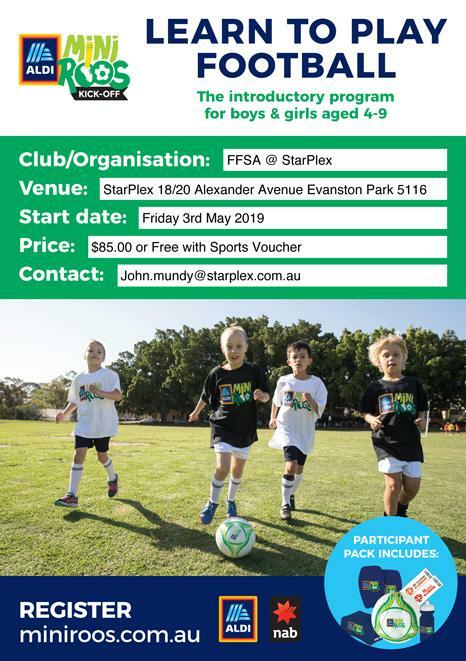 Click on the Starplex logo to check out what's happening at the biggest multi-sports facility in the Northern suburbs. 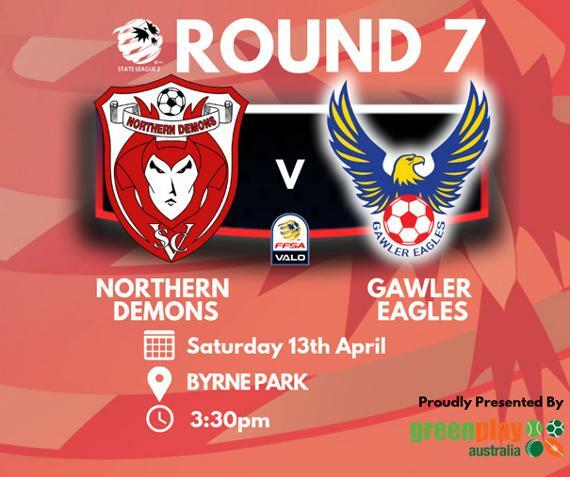 It's another big weekend at Gawler Eagles FC this Saturday and Sunday. The Seniors, Reserves and Under18s play host to Vipers FC at Karbeethan Reserve. Come along and support the team proudly representing Gawler. The Seniors kick off at 3pm, Resevres at 1pm and Under 18s at 11am. On Sunday our undefeated women's team takes on Salisbury Inter at 10am followed by the Under 15 Girls up against Cove Marion at 12:15pm. Go Eagles! It's Round 11 and the halfway mark of the season. The Gawler Eagles are 4 wins and 4 losses so far to hover around the middle of the State League 2 ladder. They'll be looking to finding form in the second half of the season starting tomorrow. With one game in hand the Eagles can start the climb up that ladder. Gawler Eagles FC plays at home at Karbeethan Reserve this Saturday against second placed Adelaide Hills (7 - 2). Come along and see the lads in action. Under 18s kick off at 11am, Reserves at 1pm and Seniors at 3pm. Full canteen facilities available. The Womens team and under age girls have a bye this weekend. 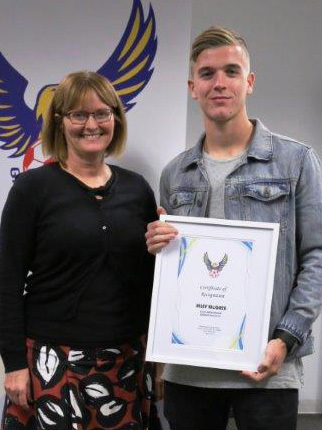 Gawler Eagles FC is proud to announce that the Mayor of Gawler, Karen Redmond, and Member for Light, Tony Piccolo, will be Co-Patrons of the club. It's a very exciting time for Gawler Eagles and we are thankful for their support as the club moves forward. It's away to Adelaide University FC this Saturday. It's a big challenge for the Gawler Eagles as five changes have been made to the senior team to take on the Unis at University Oval at 3pm. Come along and support the lads. The Reserves kick off at 1pm while the Under18s, under new coach Adrian Drosd, kick off at 11am. It's Round 6 for the girls. On Sunday the Gawler Women's team make the waterbag trip to Hahndorf to play the Hahndorf Magpies at 10am. Meanwhile the Under 15 girls travel to Salisbury Inter at Underdown Park from 11.30am kickoff. Good luck, girls! Let's do Gawler proud! FoxSports is heading to Gawler Eagles FC Wednesday 2nd May to run a profile on a player that commenced his footballing career at Gawler Eagles. FoxSports will be filming the article on Riley McGree and his start in football and his career to date. All Gawler Eagles Junior players are welcome to come down in their Eagles colours and be part of the filming with FoxSports. It will be televised during the A-League Grand Final game. Shooting starts at 5pm until 6pm at the Gawler Eagles FC clubrooms. Everyone welcome! It's another packed weekend at Gawler Eagles FC's home ground. The GEFC senior mens team is up against Mount Barker United from 3pm. The Reserves kick off at 1pm while the Under 18s start the day with an 11am start. Sunday and the Womens team take on Andrews Farm from 10am followed by our Under 15s Girls vs Adelaide Comets at 12.15pm. Full canteen facilities are available. See you at Karbeethan Reserve this weekend! Go Eagles! Make sure you get down to Karbeethan Reserve this Saturday 14th April to support the GESC 1st Team as they take on Adelaide Hills Hawks for a 3pm kick off. Under 18s and Reserves also compete in the Federation Cup against the Hawks for a 10am and 12.15am start respectively. It will be a big day for the club and players so get down and support the lads! Full canteen available too. Sunday is also a busy day for the junior grades. On the front pitch we have U6s (9am), U7s (9am), U8s (9.35am), U9s (10am), U10s (11.20am) and U11s (12.30pm). Our Junior Premier League teams play on the main pitch commencing with the U13 JPL Cup Game at 8.45am, U12 JPL Cup Game at 10.30am followed by our U15 Girls Cup game at 12.15pm. Good luck to all our great teams. Our Women's team is playing a Cup game away against Mercedes Old Collegians at 10am at Waite Oval. Good luck, girls! Gawler Eagles FC is proud to announce Joe Ridenti has been appointed Under 18s coach. Joe will be assisted by Frank Ielasi. We wish them well for the rest of the 2018 season. Gawler Eagles FC is excited to welcome underage sponsors BJ Smith Electrical & Airconditioning, King Constructions, Pizza Works and SA Structural. A big thank you! Check them out online via our sponsors page. The Thursday night BBQ was a huge success. Many thanks to all the parents, juniors and senior players who came along to the clubrooms after training and enjoyed a meal and a drink and a special thank you to all the volunteers who worked tirelessly to put it all together. Stay tuned for the next Thursday Night Special and remember all funds raised goes straight to your Gawler Eagles. 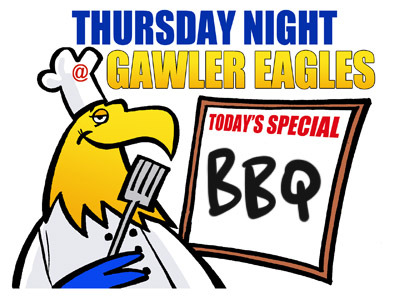 The chef's special this Thursday Night @ Gawler Eagles is... BBQ! Come along for MasterChef Joe's special $10 BBQ with chips and salad. 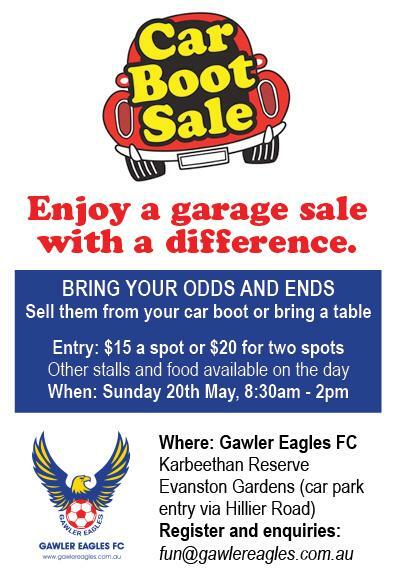 All proceeds to your Gawler Eagles. Under 18s player, Matthew Hickman, sustained a very serious ankle injury during the U18s game on Sunday morning and has had surgery today. From everyone at the GEFC we wish Matt a speedy recovery and hope to see him back on his feet and back out supporting his team and club soon. We are trying to get as many junior teams out supporting as well as playing at half times and senior mascots. Our amateur league team is also playing a trial game on the back pitch at 11.30am. It'll be a full day of soccer. The clubrooms and canteen will be open. Heaps of carparking. Pop in and say g'day and watch a great game or two. See you there! Go Eagles!